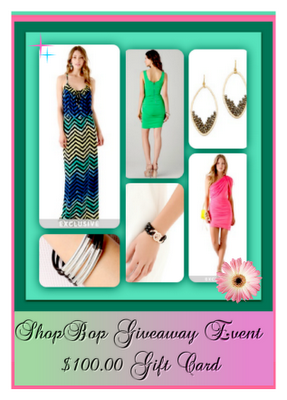 Enter for a chance to Win the $100.00 Gift Card Sent By ShopBop!! Follow the instructions in the Rafflecopter!! Good luck and if you are entering from my blog and win, please let me know! to "host' the event, however, they can participate in the event. *Disclosure: Health, Beauty, Children and Family is not responsible for prize fulfillment. I love candles, Avon and Country Gourmet! :-) Thank you. I do like candles - Avon is great. I LOVE candles! I burn them all year long! I love candles, but prefer yankee brand! I like Avon's effective eye makeup remover. Me and my girls have been using it forever. I like candles and some Avon products. I love candles, all candles. I don't discriminate! anything vanilla..i dont have a favorite store..and the only thing gourmet i have ever purchased was coffee ! Love vanilla scented candles, Target is great, and no I have not tried gourmet mixes! i like glade, and yankee candles. 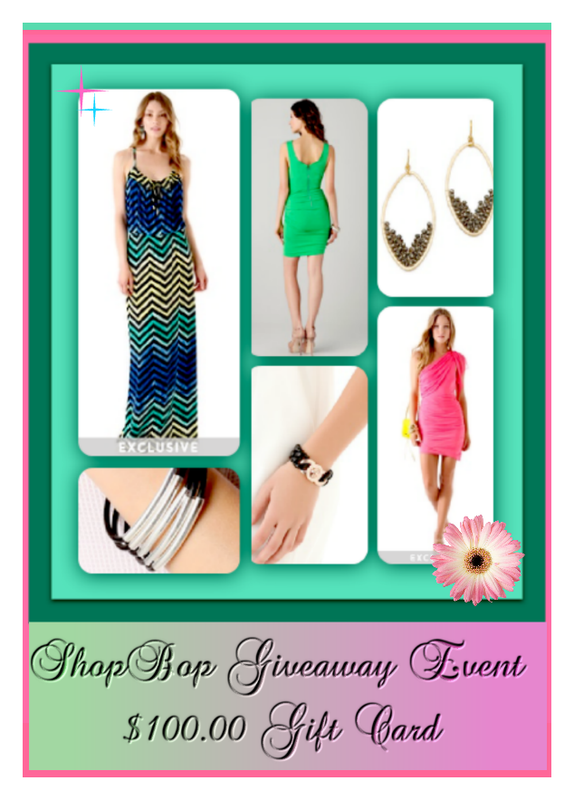 i like shopbop! I love vanilla and peach scents, don't have a favourite store or brand. I've been curious about those diamond candles.